A fresh twist on a classic story, Bellamy and the Brute proves true love really is blind. When Bellamy McGuire is offered a summer job babysitting for the wealthy Baldwin family, she’s reluctant to accept. After all, everyone in town knows about the mysterious happenings at the mansion on the hill—including the sudden disappearance of the Baldwin’s eldest son, Tate. The former football star and golden boy of Wellhollow Springs became a hermit at the age of sixteen, and no one has seen or heard from him since. Rumors abound as to why, with whisperings about a strange illness—one that causes deformity and turned him into a real-life monster. Bellamy wants to dismiss these rumors as gossip, but when she’s told that if she takes the job, she must promise to never, ever visit the third floor of the mansion, she begins to wonder if there really is some dark truth hidden there. As Bellamy works to unravel the mysteries of Baldwin House and uncover the truth about Tate, she realizes that she is in way over her head… in more ways than one. Can her bravery and determination help to right the wrongs of the past and free the young man whose story has captured her heart? “Talk less and shuffle faster!” I goaded in an urgent hiss, Mateo’s voice swelling behind me. Exactly what he was saying couldn’t be deciphered over the crunches of twigs and bark under our hurried steps. Toddling around the corner, I slammed into Aubrey’s back when she came to an abrupt stop. 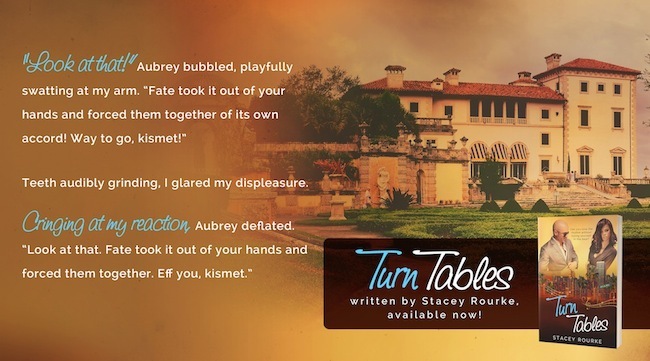 “Because it’s a maze?” Aubrey offered, glancing over her shoulder at the lighthearted lilt of Greta’s laughter riding in on a breeze. “Wh-what? I-I—” I stammered in full huff. 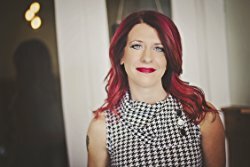 Stacey Rourke is the author of the award winning YA Gryphon Series, the chillingly suspenseful Legends Saga, and the romantic comedy Reel Romance Series. She lives in Michigan with her husband, two beautiful daughters, and two giant dogs. She loves to travel, has an unhealthy shoe addiction, and considers herself blessed to make a career out of talking to the imaginary people that live in her head. I would really love to read your book. Stacy is one of my new favorite authors, and I really am looking forward to reading this. Intriguing cover and synopsis! Congrats on your release and book tour! 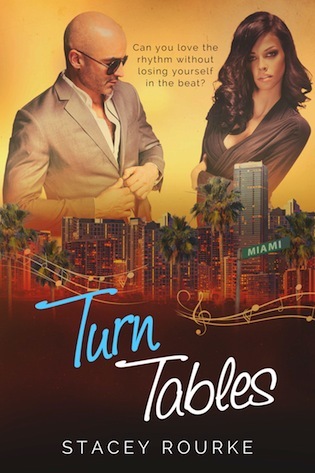 I would like to thank you for your involvement in the Turn Tables Book Blitz and Giveaway Thank you for giving us all the chance.